Silhouette of old people. Vector. 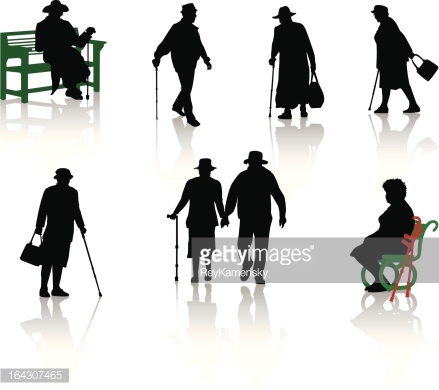 Vector silhouette of old people.